2:00PM: ERGON Energy advises there are 211 properties currently without power, after a supply pole was found leaning on top of a house. They estimate power should be restored to properties by 7.00pm tonight. 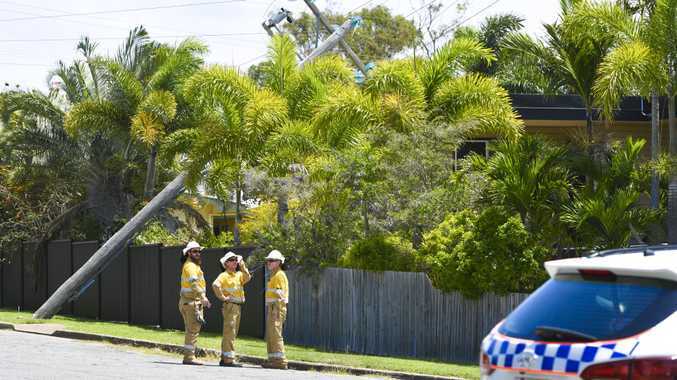 EARLIER: THE QUEENSLAND Fire and Emergency Services are responding to reports of a power pole leaning on top of a house in West Gladstone. Crews are on the scene at a property on the corner of Byrne and Smith Street. Roads will be closed, and Ergon crews are also on the scene. This is a breaking news event, more to come.